This adorable Personalised Keepsake box is the perfect way for your baby boy to store his all important keepsakes and toys from his early years. 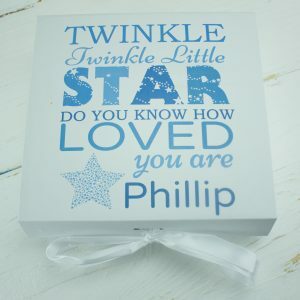 This Keepsake gift box can be personalised with his name along with our sea of stars print for an extra special gift! 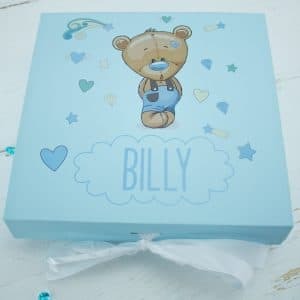 This adorable Personalised Keepsake box is the ideal way for your baby boy to store his all important keepsakes and toys from his formative years. 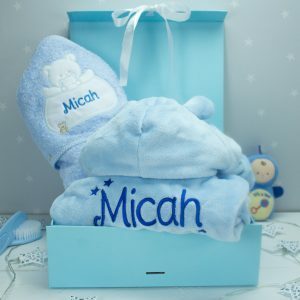 This Keepsake gift box can be personalised with his name along with our uniquely design teddy bear print for an extra special gift! 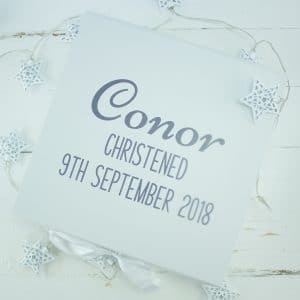 This adorable Personalised Keepsake box is the perfect way for every baby boy to store his most important keepsakes and toys from his early years. 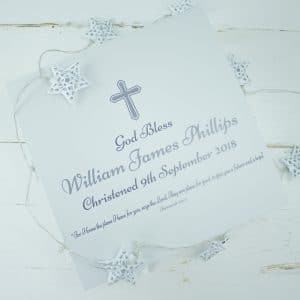 This Keepsake gift box can be personalised with baby's name alongside the famous nursery rhyme "Twinkle Twinkle Little Star" for an extra special gift! 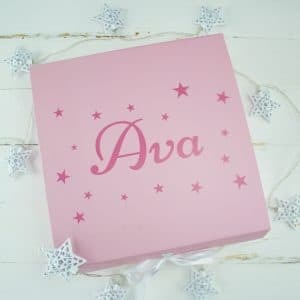 This adorable Personalised Keepsake box is the perfect way for every baby girl to store her most important keepsakes and toys from her early years. 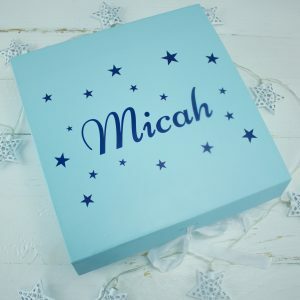 This Keepsake gift box can be personalised with baby's name alongside the famous nursery rhyme "Twinkle Twinkle Little Star" for an extra special gift! 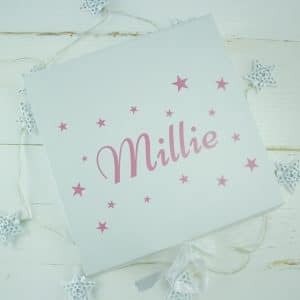 This charming Personalised Keepsake box is the ideal way for your baby girl to store her all important keepsakes and toys from her formative years. 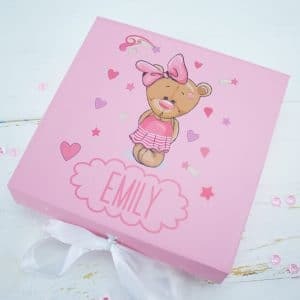 This Keepsake gift box can be personalised with her name along with our uniquely design teddy bear print for an extra special gift! This charming Personalised Keepsake box is the perfect way for your little one to store their all important keepsakes and toys from their early years. 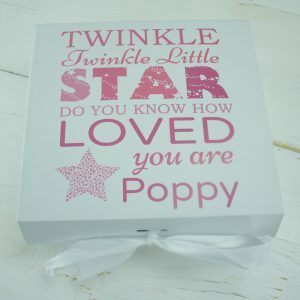 This Keepsake gift box can be personalised with their name along with our sea of stars print for an extra special gift!